Advising on wealth-transfer planning and asset protection for both individuals and business entities. Learn More. Reviewing previously drafted or executed documents to ensure they are valid and provide optimal tax savings. Learn More. Forming LLCs, LLPs, C Corporations, PCs and various FBEs (Family Business Entities) and advising on wealth-transfer planning. Learn More. 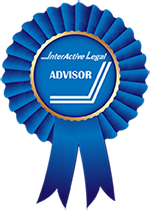 Katz Law Firm, PLLC offers an array of strategic trust, estate, and tax planning services for clients who are seeking innovative yet sound legal advice and direction on all aspects of asset protection, wealth transfer planning, and effective tax strategies. Katz Law Firm, PLLC has represented individuals, businesses, trusts and various entities in a number of capacities. We have planned multi-generational estates, successfully litigated in courts, and helped our international clients form U.S. based entities and catered to their needs through our private client services. Our attorneys are admitted to practice law in several states, including New York and New Jersey, as well as being admitted to practice in Federal Courts, including the Southern District and Eastern District Courts in New York, as well as the United States Tax Court. ©2018 Katz Law Firm - Do not copy. All rights reserved. At the law offices of Katz Law Firm, we represent clients and provide tax/estate planning services to clients, wealth managers, financial planners, life insurance agents, banks, accountants and attorneys throughout New York, across the U.S. and overseas. You may reproduce materials available at this site for your own personal use and for non-commercial distribution. All copies must include this copyright statement. The information you obtain at this site is not, nor is it intended to be, legal advice. You should consult an attorney for individual advice regarding your own situation.